When I found out I was pregnant after a miscarriage, I couldn’t believe it. It had been 2 months since the loss and I was still devastated from it. I didn’t want to get my hopes up, so I was in denial and went about with my life like nothing was happening. I finally went to get an ultrasound and found out that I was 9 weeks pregnant. I was filled with joy as soon as I saw our tiny baby on the screen in front of me and thanked God with all my heart. Now I had heard of women giving birth naturally in this day and age, but I thought it was crazy. Why would someone want to go through so much pain when we have wonderful things like epidurals? My husband wanted me to have a natural birth with our first and I thought he was crazy out of his mind. I thought he was so mean. why would he want me to go through so much pain?! No way was I going to ever try a natural birth. So I had the typical hospital/epidural birth with our daughter. Had no desire whatsoever in a natural birth. That was for the brave crazy women. Or so I thought. Fast forward a year later. I met a group of moms that shared the same parenting beliefs as me. Babywearing, and cloth diapering were some of the things we had in common. Then I found out that they birthed their children at home or at a birth center with no drugs! I was amazed. This is when I started hearing about hypnobabies. A 6 week class that mentally prepares you for childbirth. Focuses only on the positive things about childbirth and encourages you to believe that you can birth your child in comfort and joy. A lot of these women had pain free natural births. I thought this was impossible! I was taught that childbirth is the most excruciating pain that a woman will ever have. Then my best friend took the hypnobabies class and had a beautiful natural birth. She said she felt no pain. Only pressure and stretching and pulling. I was amazed! This is when I decided I would take the class for my next pregnancy. The class taught me to change my entire view of childbirth. I had to believe with all my heart soul and mind that I could have a comfortable pain free natural birth, and that I would enjoy it. I had to erase everything I had ever been taught about how painful and horrible childbirth is and replace it with only positive thoughts. I learned to erase any and all fears I had about childbirth. I used the techniques I learned during that class and soon enough, I truly believed that I would have an amazing birth and that I deserved to birth in comfort and joy. Nov 21st 2011. 40 weeks pregnant. I had been having pressure waves all day, but I didn’t pay attention to them. I went for a walk and noticed that I had to stop walking during a pressure wave and that they were getting stronger. So I started timing them. At first they were 9-10 mins apart lasting a min to 90 secs long. My husband was at school so at around 9pm I realized that maybe I might be in my birthing time and I decided to ask him to come home. He brought home some sonic hot dogs and I sat on my birthing ball and listened to my hypnobabies tracks. The pressure waves kept getting wonderfully stronger and soon I had to vocalize through them. I kept saying OHHHHHH OHHHHHHH. They weren’t painful. Just strong. They were now 6-7 mins apart. I called my doula and gave her a heads up and also called the birth center. The midwife on call didn’t really take me seriously because I sounded too calm over the phone. Which is a common response to women who use hypnobabies. We are way too relaxed and are not taken seriously when we are in our birthing time! Then she asked me if I’m in pain and I said no. so even more reason for her not to take me seriously! I went to lay down and during a pressure wave, my water broke! It was an amazing feeling! Like an explosion! This is when I knew I really am in my birthing time! A little part of me started getting scared but I chose to remain focused on my positive birth. We got in the car for the 45 min drive to the birth center and I listened to my hypnobabies tracks to help me stay focused. I only focused on the pressure wave I was experiencing and did not dare think about the next one until it came. One at a time! When we got to the birth center, my doula was there and so was my mother in law and my sister in law. They took our daughter who was fast asleep. Now I had to face one of the things I was dreading. A cervical check. When I got this done with my daughter in the hospital it was excruciatingly painful. But I used the techniques I learned in hypnobabies and just completely relaxed all my muscles and it wasn’t painful at all! I was so happy to learn that I was 5-6 cm dilated! I had asked for an epidural with my daughter at 3cm. I was so proud of myself that I had survived that car ride! So they took me upstairs and I paused for a pressure wave at the top of the stairs. This is when I started feeling pushy. With each pressure wave my body was beginning to push and my noises started sounding like pushy grunts. The midwife told me it was too early to push and that I needed to resist that urge. But it felt so good to give in to it! She told me I could make my cervix swell. So I tried really hard not to give into that pushy urge. They filled up the tub and I got in. the water was soooo warm and inviting! I held on to a bar on the wall and relaxed with each pressure wave. I was so sleepy! I just wanted to sleep and I would try to between pressure waves. They were coming so close now and getting more and more stronger! They were not painful. The only way I can describe them is a very strong powerful force taking over your body. I focused on the fact that each pressure wave was bringing me closer and closer to our son. I embraced each one! I didn’t listen to any hypnobabies tracks in the tub. I didn’t want anyone to touch me or talk to me. I was in my own world, listening to my body. I couldn’t resist the urge to push anymore and I gave in. it really felt so good to just give in to that urge. Then I felt stretching! I reached down and felt the top of Raphael’s head and asked the midwife to check me!! She checked and I was 10cm! I was ready to push after only being there an hour! Hubby quickly got in the tub with me and held me as I gave over to my body. I just relaxed and my body did the work for me. I didn’t push my baby out. My body pushed him out. With the next pressure wave I relaxed and that powerful urge came over me and I remember feeling a lot of stretching. Not painful. His head was out. And I relaxed and waited for the next pressure wave. And with the next one, I felt a lot more stretching and his body came out. It was the most amazing thing I have ever experienced in my life! They took the cord off from around his neck and gave him to me! 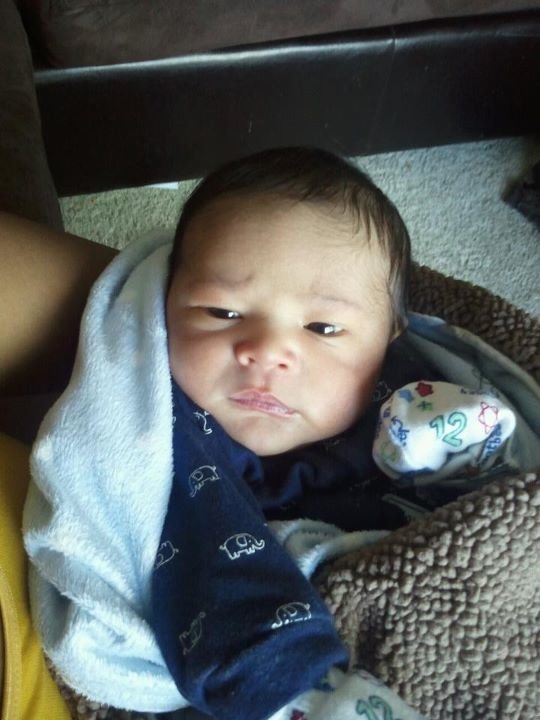 I couldn’t believe that I was holding my baby in my arms! 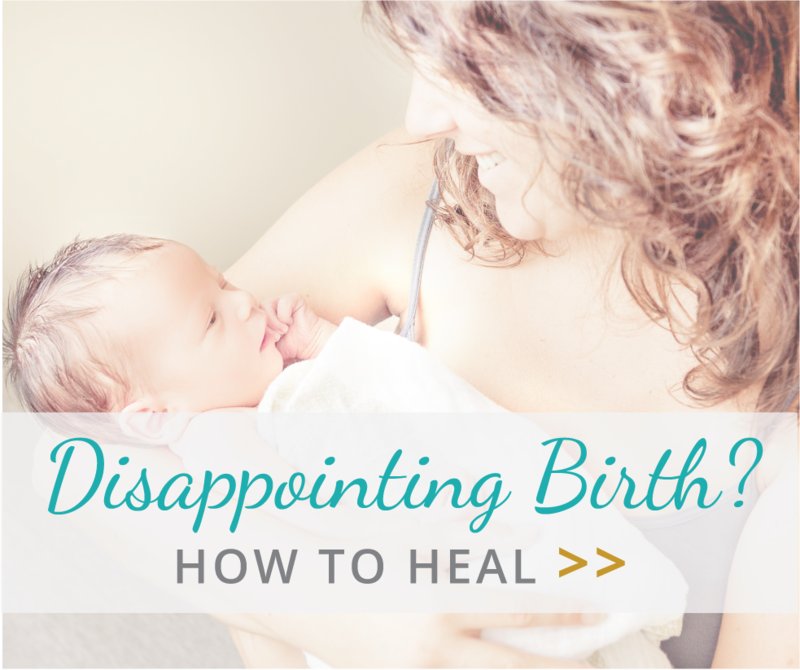 I couldn’t believe that I had just had a natural pain free birth! I felt like I was dreaming! The first thing I said was “that is the easiest thing I have ever done!” I couldn’t believe how easy it was!! I wasn’t screaming or going crazy or crying like they show on tv. I was relaxed the whole time. My husband called for his mom as soon as Raphael was born and they came in with our daughter. Raphael was born at 2:28am. Weighing 7lbs 4 oz and 19in long with no tears! They helped me out of the tub and I was surprised at how easy it was to just get up and walk like nothing happened! With my first, I felt like I had been ran over by a truck! My husband and daughter fell asleep in bed with us. The midwives left us alone for a few hours and we just got to enjoy our new bundle of joy. 8 hours later, we were ready to go home! I am so glad I decided to have a waterbirth. The birth center was such a nice relaxing atmosphere. The midwives let me do what I wanted to do, and I was able to trust my body to birth my baby. Whenever we have another baby I am definitely doing another waterbirth! Hopefully we can have a homebirth next time! The thing that helped me the most was changing my mentality towards childbirth. Once that was changed, everything else fell into place and I was able to let go and trust my body to do what it was designed to do. Also, my faith as a Christian helped me a lot. I know my Creator designed me to give birth, and whatever I ask, He can give to me. So I told Him exactly how I wanted my birth to be, and he fulfilled it! I just had to have a little faith! So I am here to tell you that childbirth can be a fun, wonderful, comfortable, and relaxing experience! The whole time I felt like I had the power to choose what type of experience I wanted. The mind and what you speak into your life is a very powerful thing. I thoroughly enjoyed my birthing experience and can’t wait for the next time I get to do it again! The most beautiful and amazing event of my life! That was totally awesome! So proud of you….gives me encouragement not to be too scared of childbirth. The horror stories scare me! This is a breath of fresh air! What a beautiful story–thanks for posting it, and thanks to Christine for sharing it! Thank you for sharing your beautiful story! I agree, an absolute breath of fresh air. I have a deep belief that birth is the most natural thing that a woman can do and it is only fear that leads to pain. You are proof! Thank you again! So inspiring. Amazing story, thank you for sharing! I am planning my third unmedicated homebirth but my first with hypnobabies and I am looking forward to this birth in a new way. Stories like this, and the practice I have done with my practice pws, have made me a believer that I can have an easier and more comfortable birth. My daughter will be here sometime in the next few weeks and I can’t wait to hold her! Amazing and beautiful story! I wish more women would believe in themselves, their body, and the power of the mind. I believe that for most women, they have painful birthing experiences because they simply don’t know any different. They believe it’s going to be painful, they hear stories reassuring them of this belief, and then voila the outcome is just as so. (Signifies the theory that what you think about, you bring about.) But if only they could believe that it does not have to be painful, and that they are perfectly designed for this very natural process…then they will indeed have the birthing experience they desire. You are a perfect example! I pray that our society begins to change its outlook on giving birth, and the way it is portrayed in the media. Then maybe everyone would look forward to giving birth, rather than dreading it and fearing it. Excellent testimonial Christine, how I wish every lady out there would read, believe and transform their mind about this. For sure its all in the mind. keep sharing your story n changing lives.